Shortly before his mysterious death, Toronto billionaire Barry Sherman was working to shut down an investigation into a fundraiser he held for Prime Minister Justin Trudeau that allegedly violated lobbying rules. Toronto Star reports that lobbying commissioner Karen Shepherd has been investigating Sherman since 2016. Sherman, the founder of massive pharmaceutical company Apotex and his wife, Honey, were found dead in their home on Dec. 15. The case is still ongoing and Sherman’s lawyers filed documents just days before his death. The lobbying complaints against Sherman were filed by Democracy Watch, a government accountability group. “Mr. Sherman’s fundraising activities for Prime Minister Trudeau and Finance Minister Bill Morneau and the Liberal party created conflicts of interest,” Democracy Watch co-founder Duff Conacher told Toronto Star. “Democracy Watch’s two complaints should still be ruled on by the commissioner of lobbying despite the unfortunate and sad passing of Mr. and Mrs. Sherman,” Conacher said. 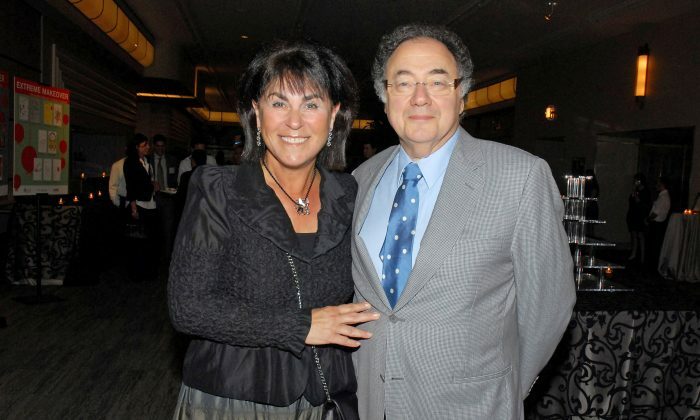 Canadian homicide detectives on Sunday took the lead in investigating the mysterious deaths of pharmaceuticals billionaire Barry Sherman and his wife, Honey, a day after relatives complained about the handling of the case. The development does not mean the deaths are being treated as homicides, Toronto Police Service spokeswoman Michelle Flannery said. The couple, who were celebrated for their philanthropy and financial success, were found on Friday hanging from a railing by the side of their pool by a real estate agent involved with selling their house in Toronto, Canadian media reported. Police have said there was no sign of forced entry to the home, which is listed for sale at $5.4 million. Autopsies conducted on Saturday and Sunday determined that Barry Sherman, 75, and his wife, 70, died from ligature neck compression, police said in a statement. They asked anybody with information on the case to contact authorities. Flannery would not say whether police were looking for a suspect. Police had said on Saturday they had nobody in custody and were not seeking any suspects. The case has dominated the Canadian news, with employees, friends and leading politicians expressing shock. The Globe and Mail, Toronto Sun and Toronto Star reported Saturday that police were operating on the theory that Barry Sherman had killed his wife and hanged himself. A statement issued late Saturday on behalf of the Shermans’ four children criticized that idea. “We are shocked and think it’s irresponsible that police sources have reportedly advised the media of a theory which neither their family, their friends nor their colleagues believe to be true,” the statement reads. “We urge the Toronto Police Service to conduct a thorough, intensive and objective criminal investigation,” it said. Barry Sherman founded Apotex Inc. in 1974 and built it into one of the world’s biggest generic drug makers, making him one of Canada’s richest people.